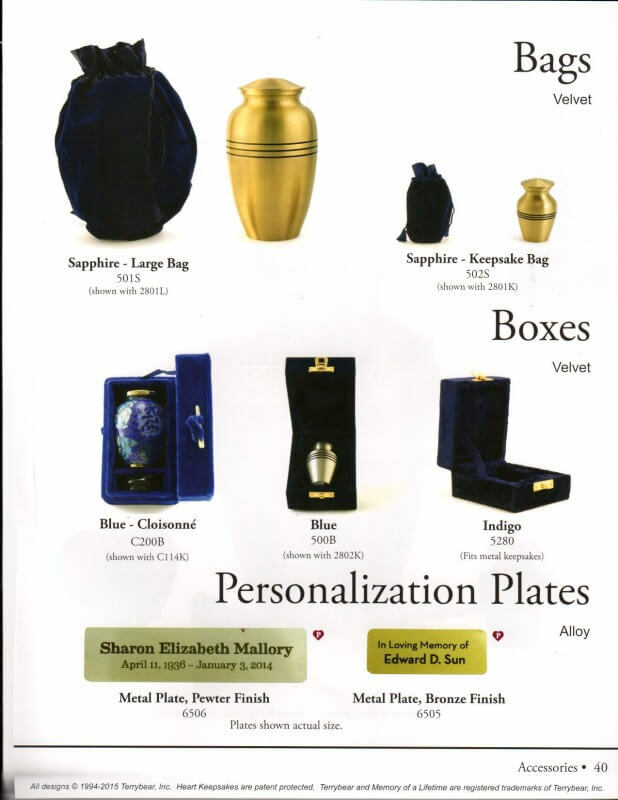 Our Memory of a Lifetime Catalog by Automatic Wilbert is designed for an elegant urn for your loved ones. 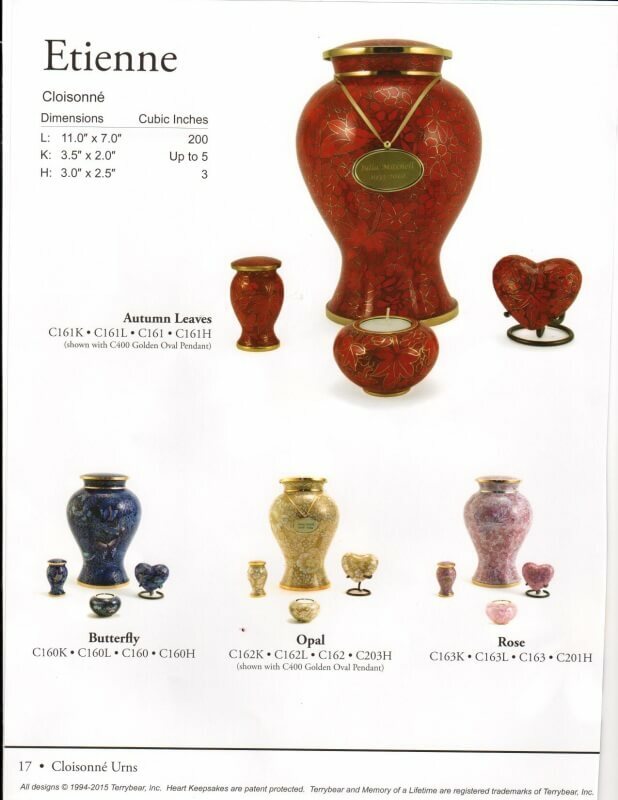 There are a wide variety of colors, designs and material. 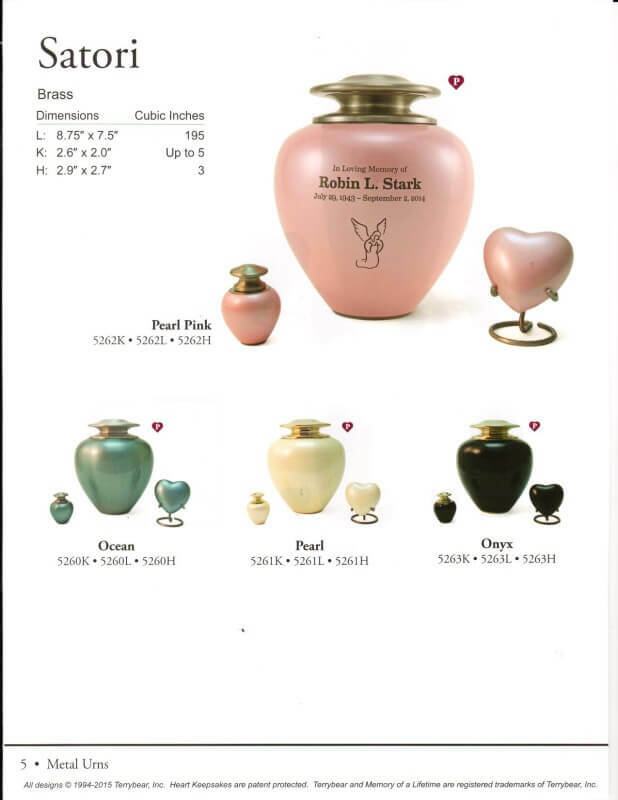 Each Large Urn has a matching keepsake, or candle for an additional cost. 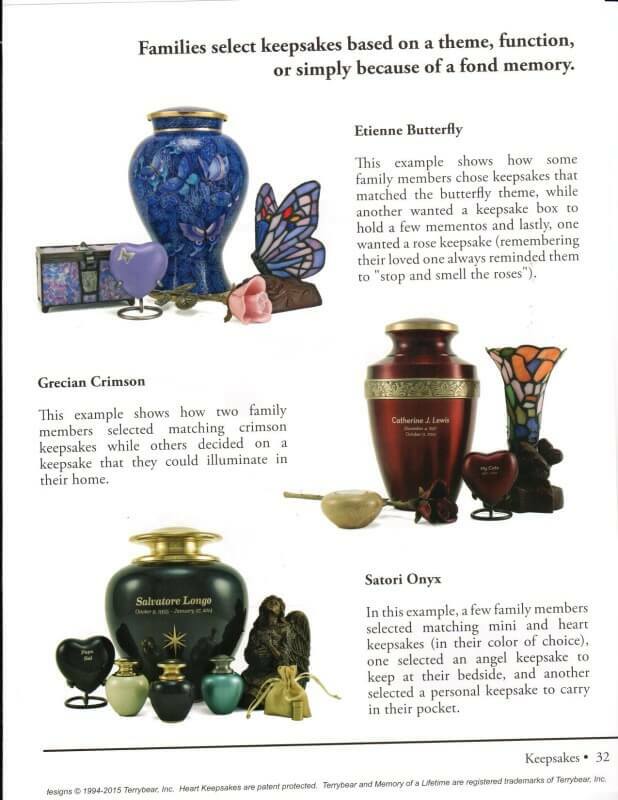 Both the candle and the keepsake urns hold a small amount of ashes within them. 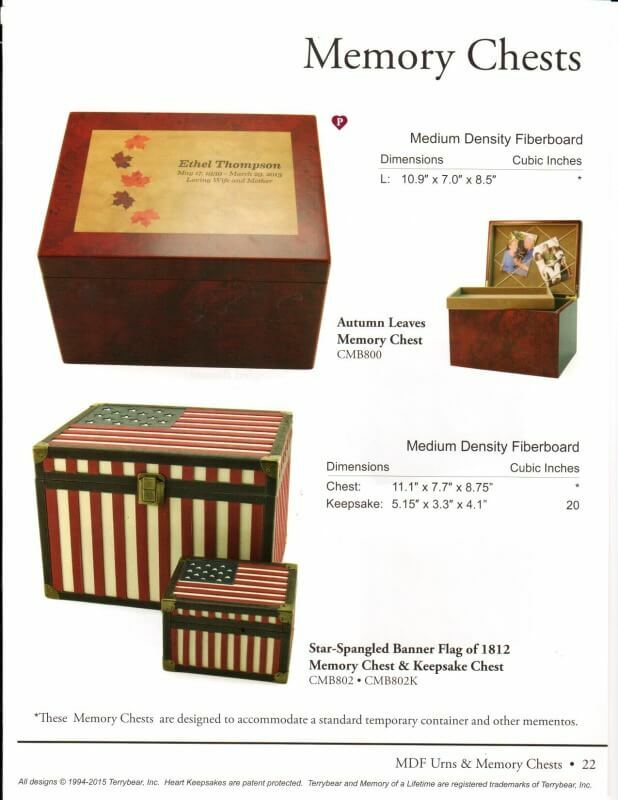 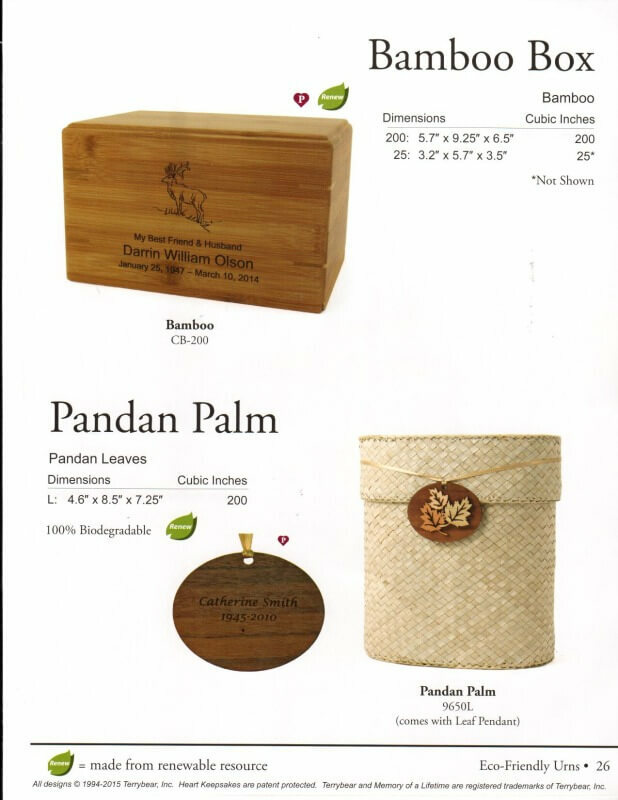 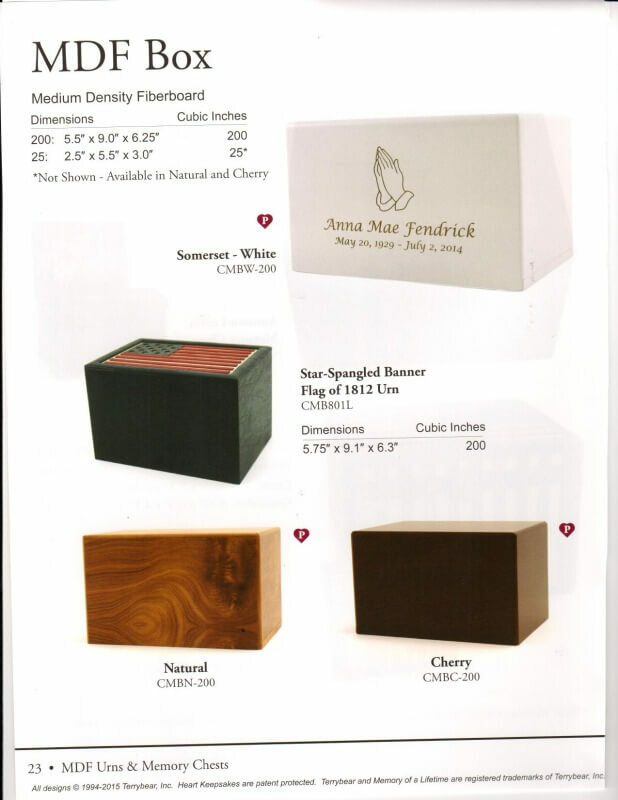 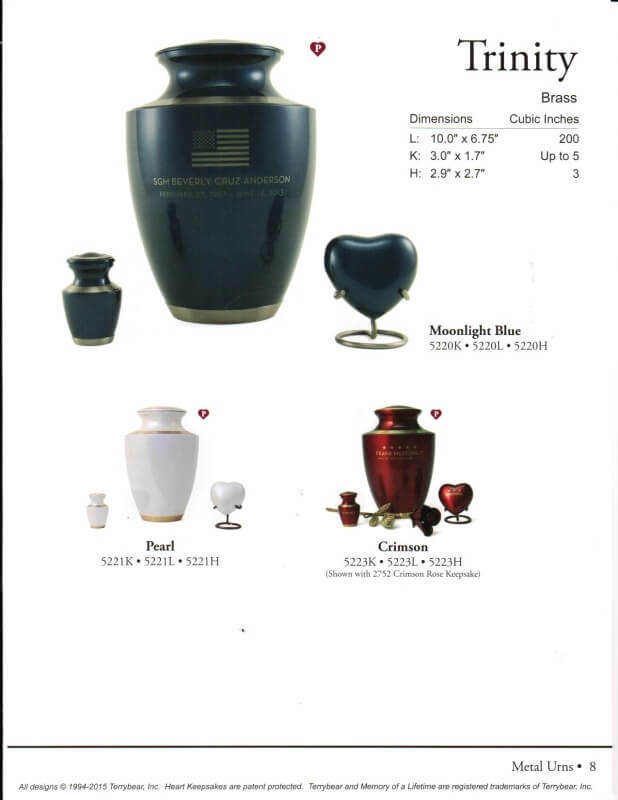 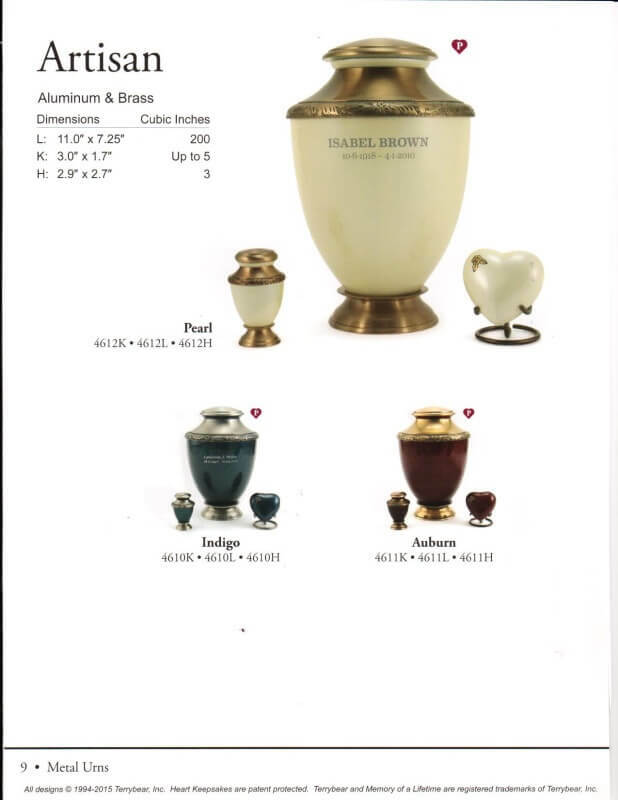 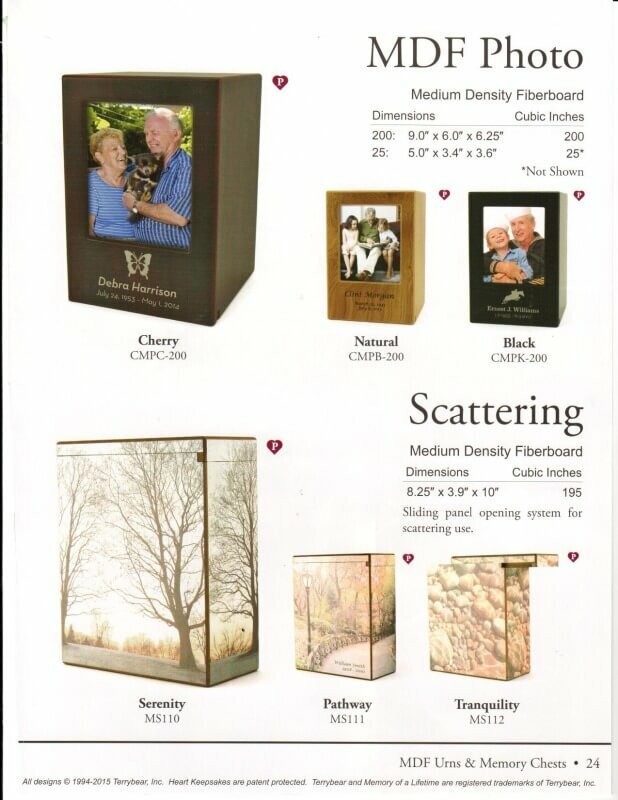 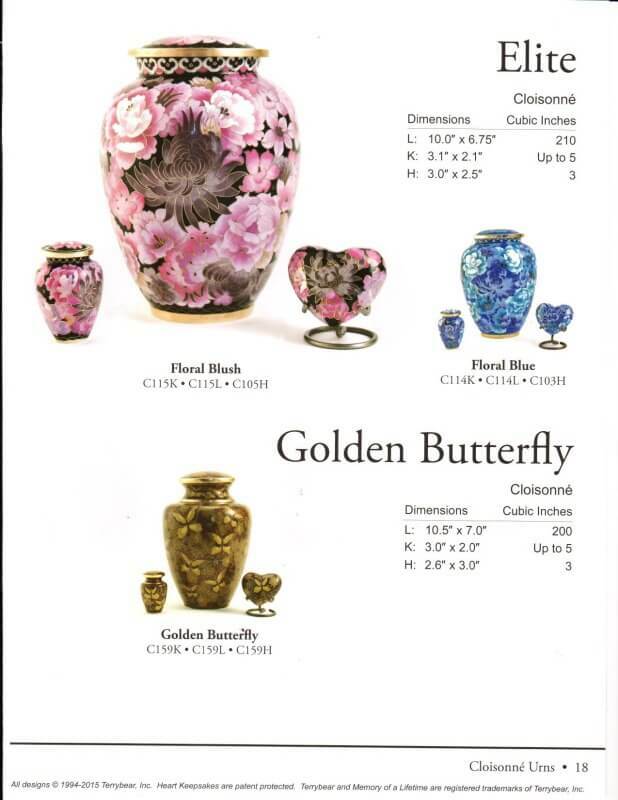 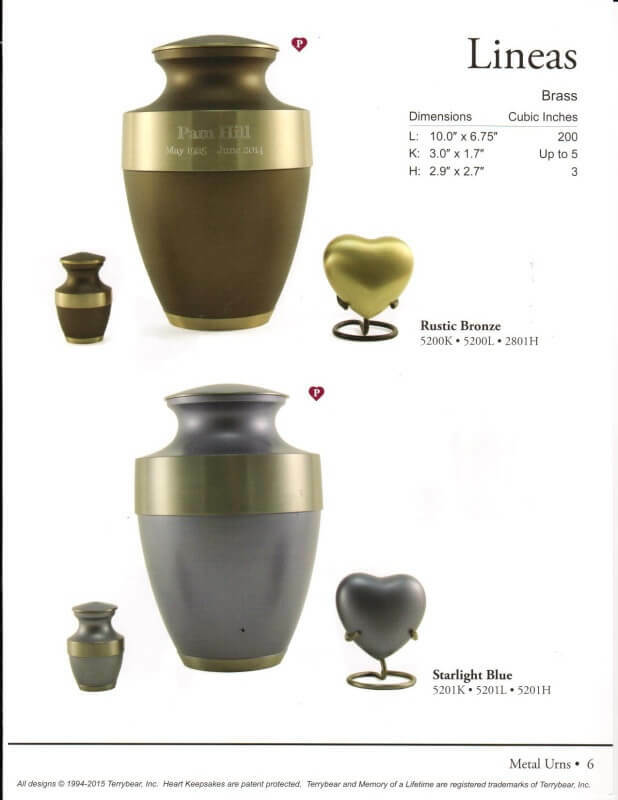 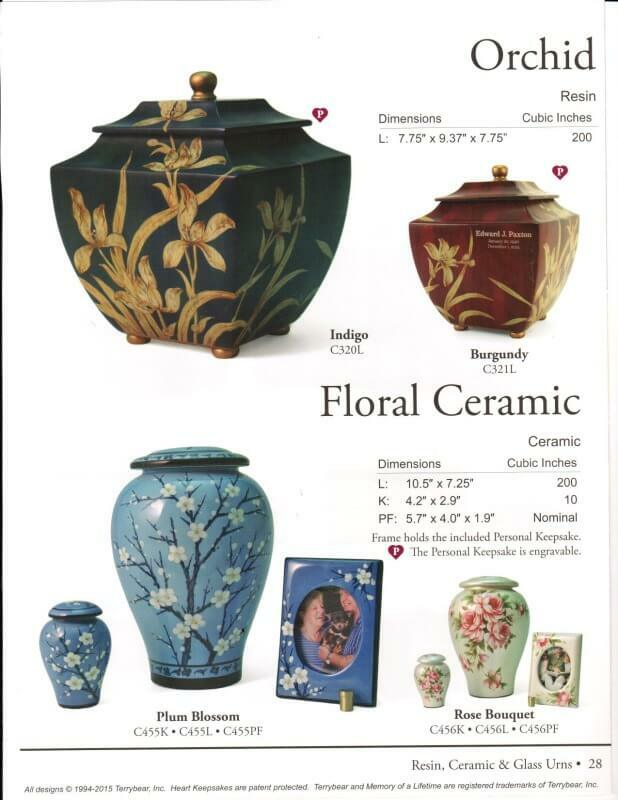 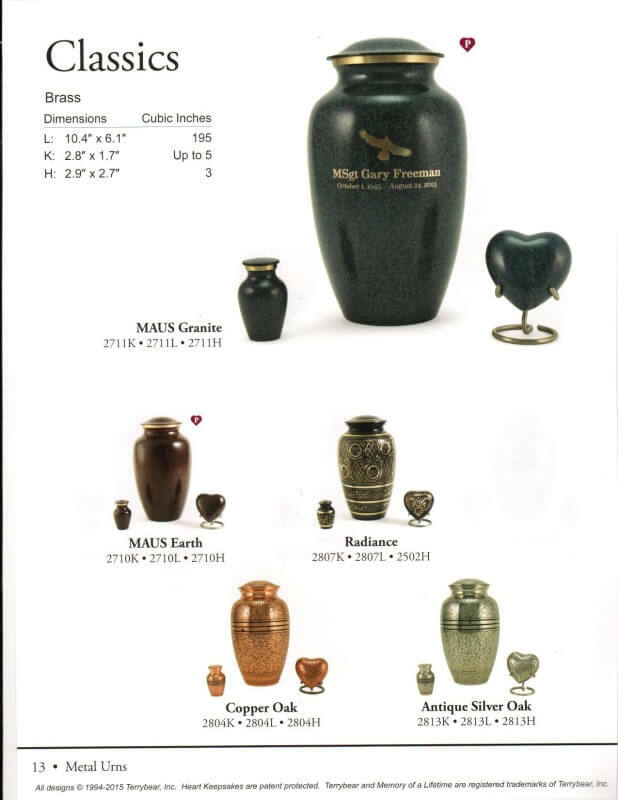 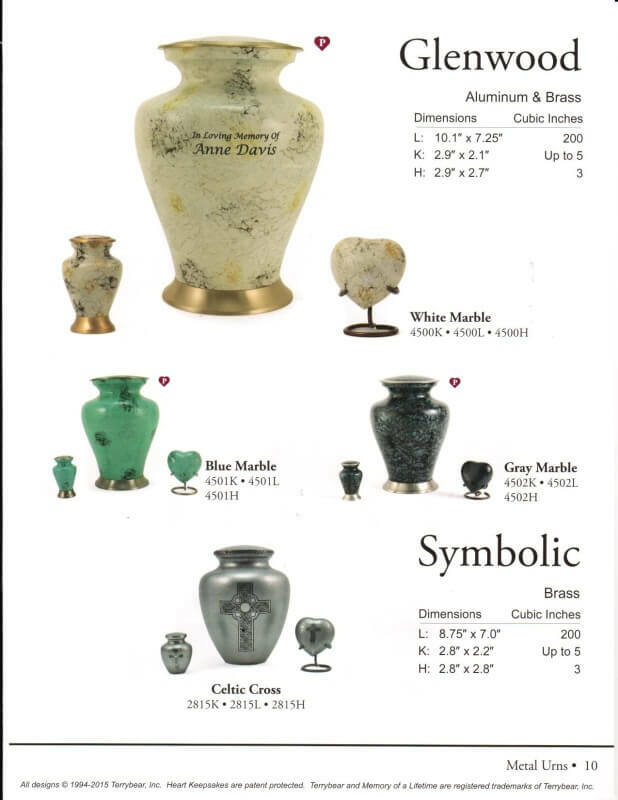 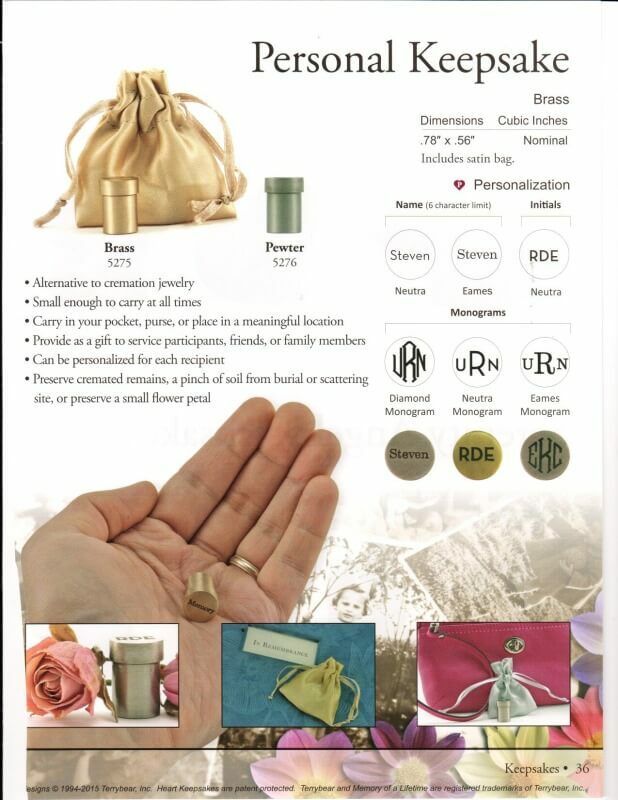 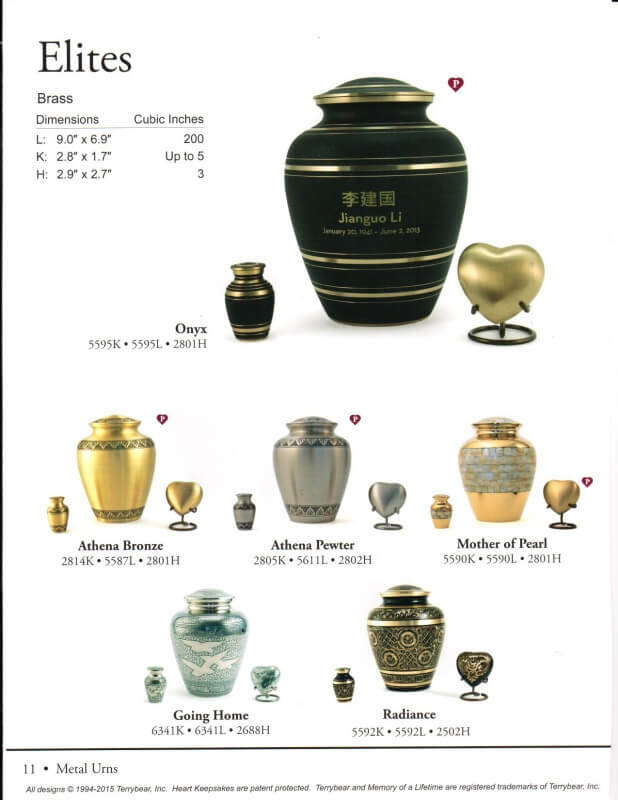 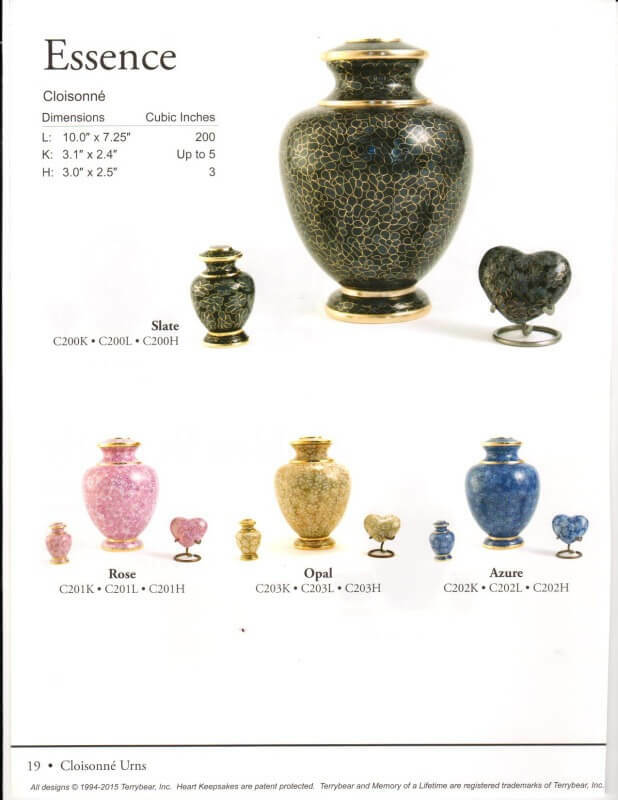 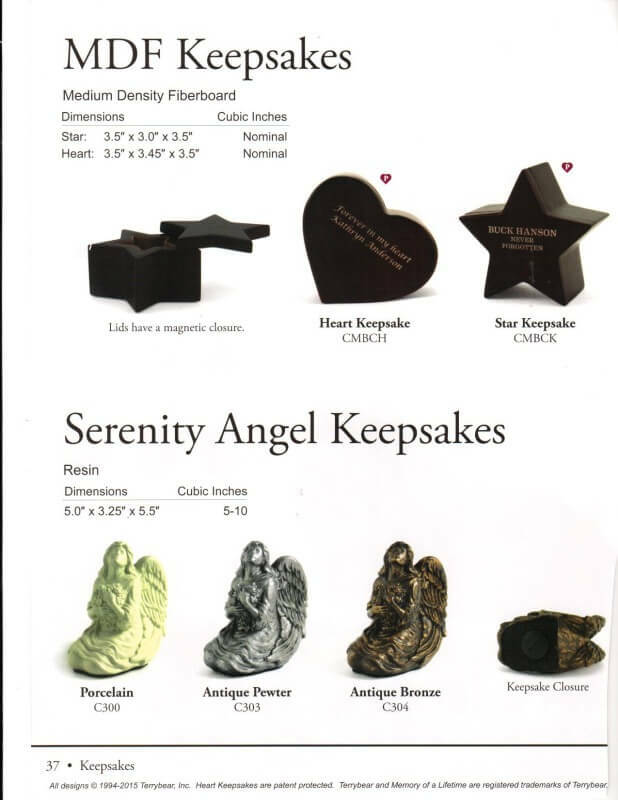 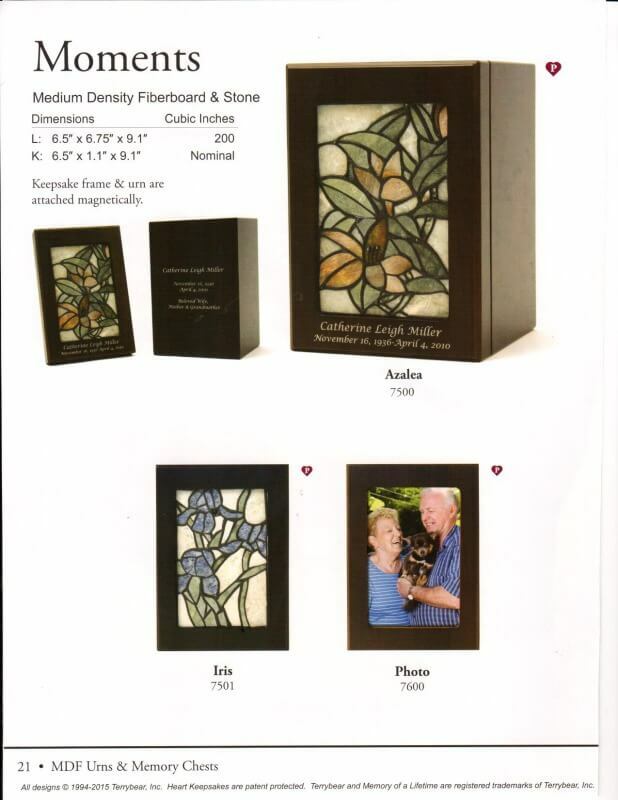 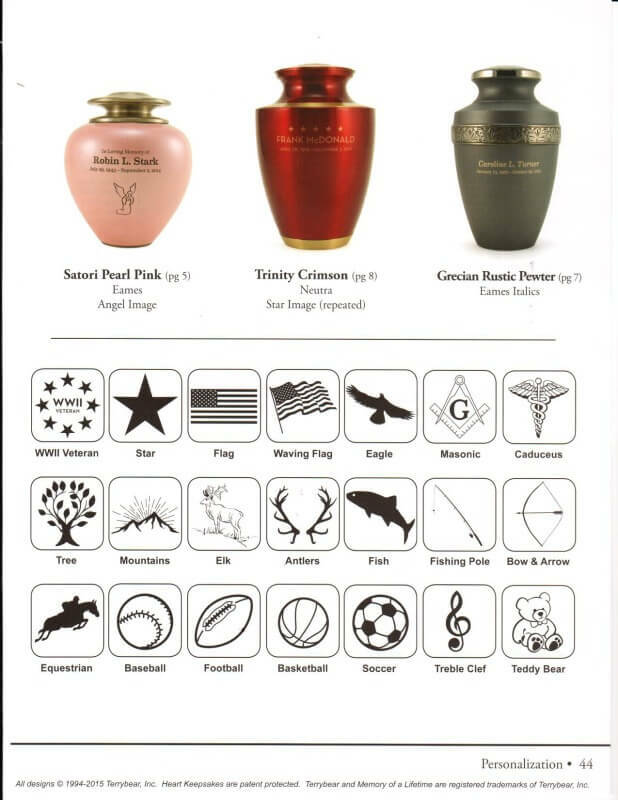 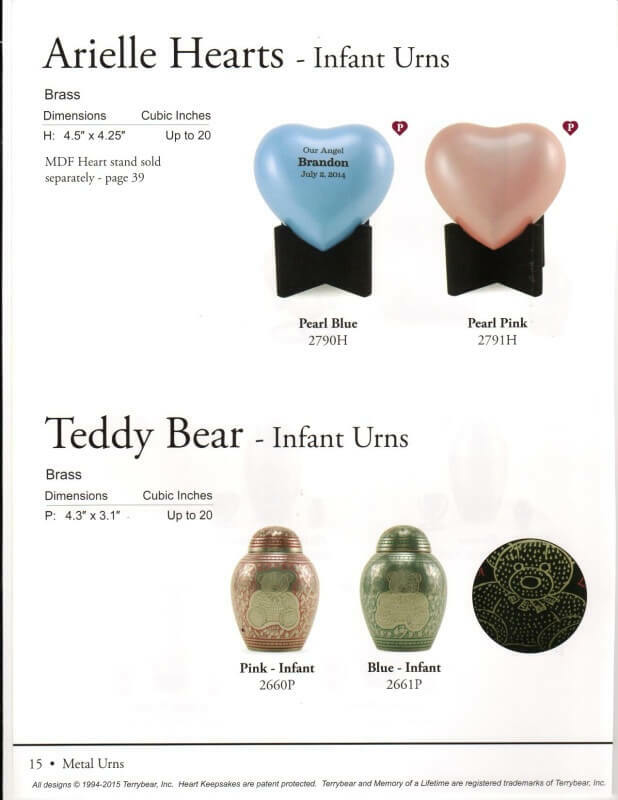 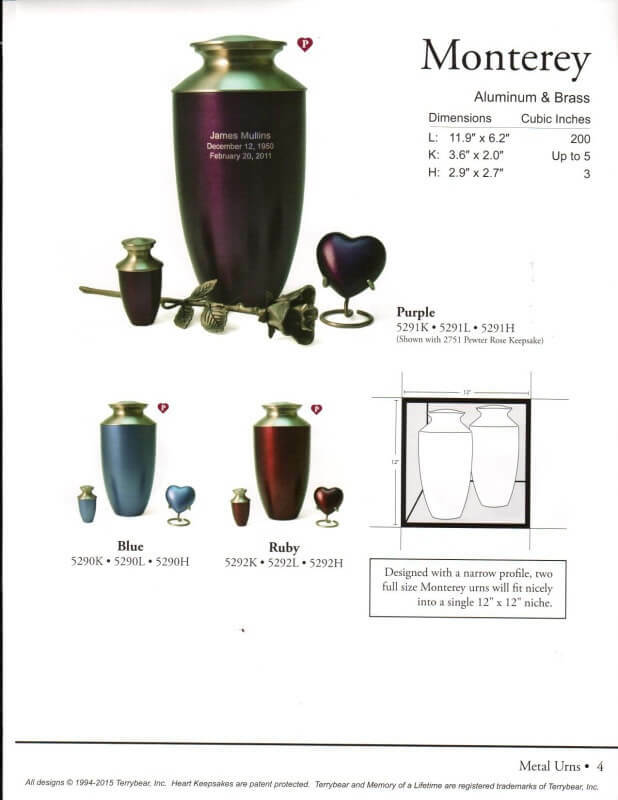 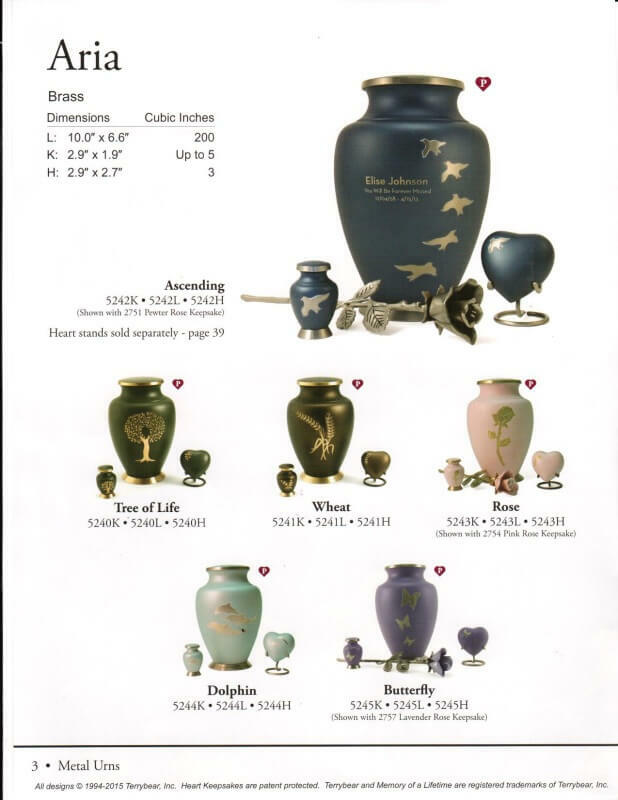 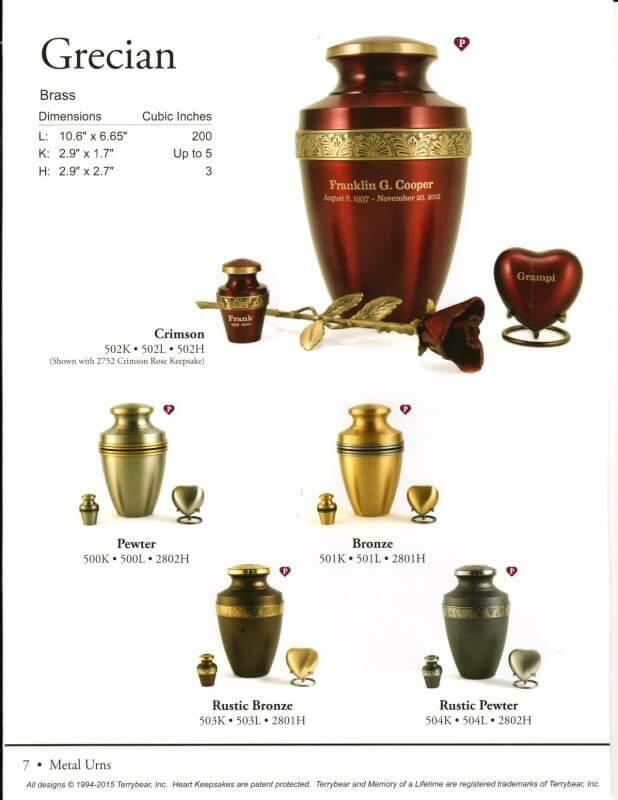 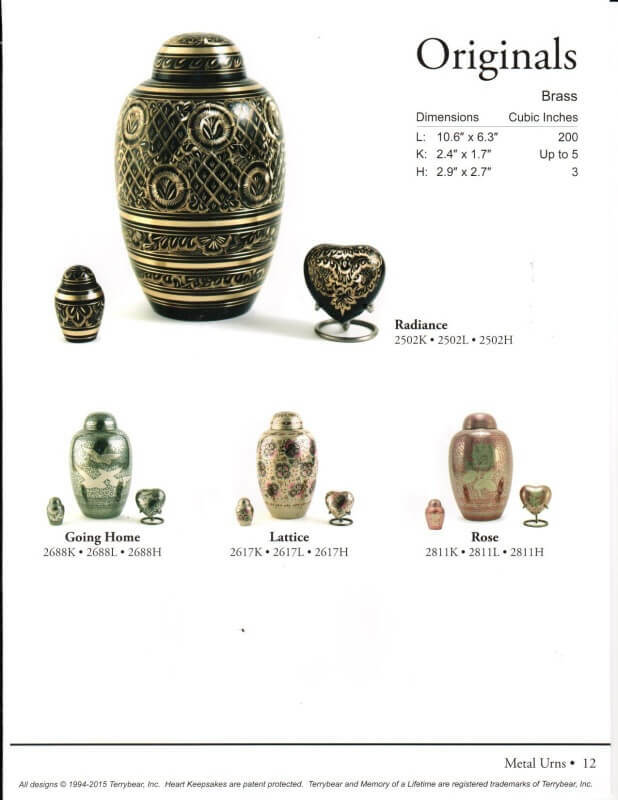 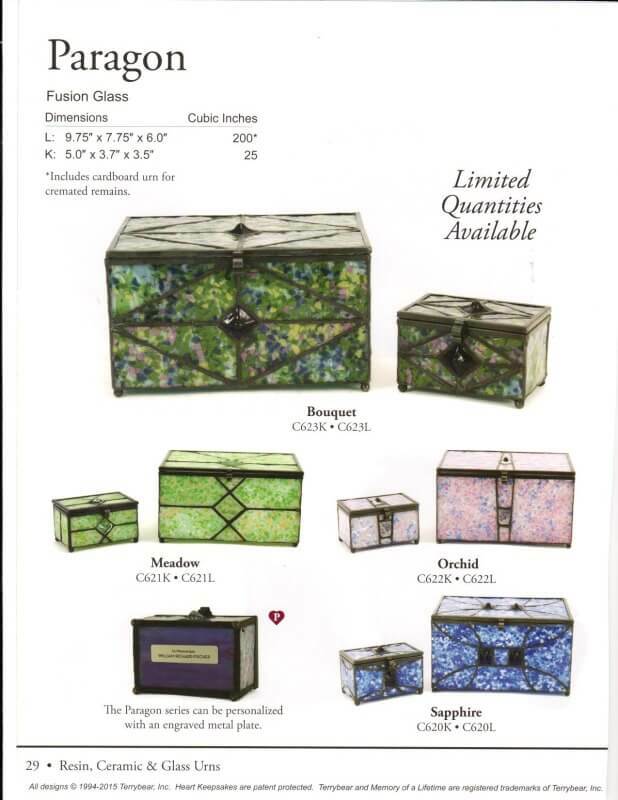 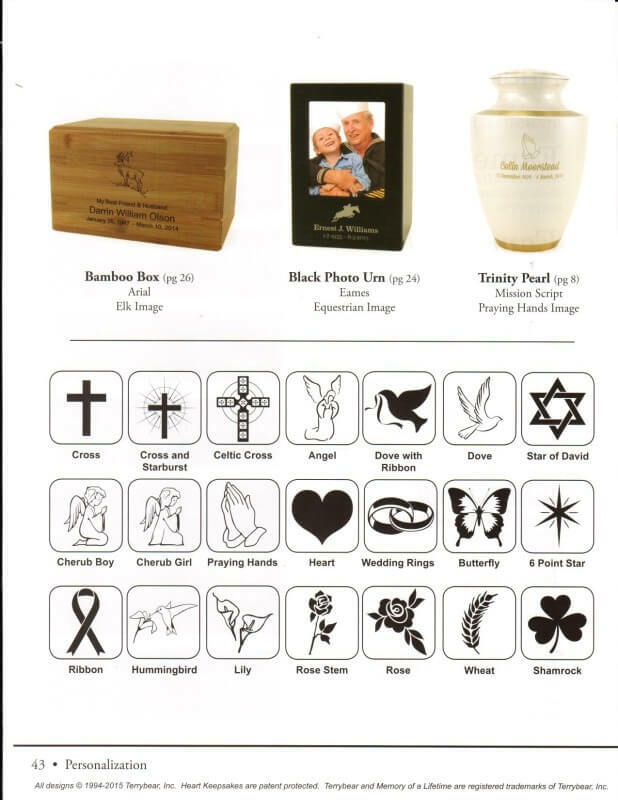 This catalog also boasts a wide variety of Rose and Heart Keepsakes as a unique way to represent your loved one different from the traditional urn. 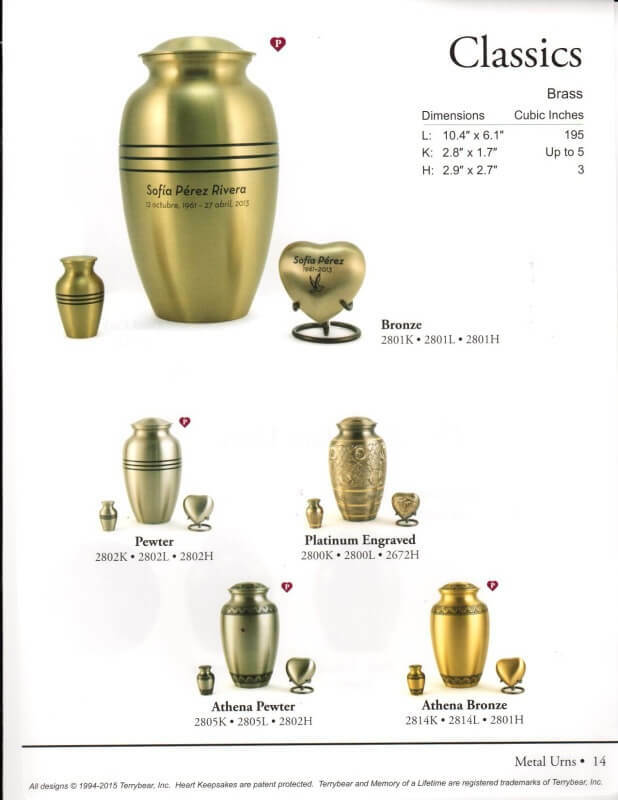 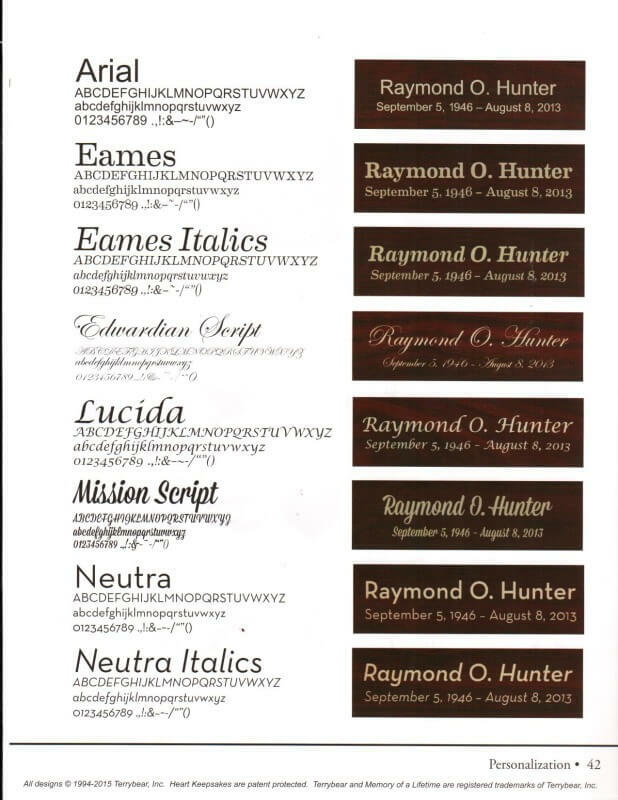 There is the option of engraving on the Urns, and below there shows a sample of the different font, and inscriptions available.